14 ACRES - 5 Bedroom Home, 3 Bedroom Home, 2 Pools, Whales Tale Ocean Views!!! 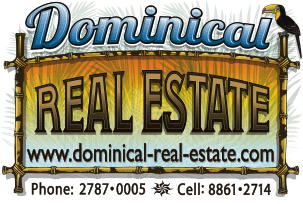 Escaleras, Dominical boasts the highest elevations with the closest proximity to the ocean in the entire country. Literally, nowhere else in Costa Rica do the mountains (with such immense grandeur, lush vegetation and abundant wildlife) come so close to the mighty Pacific. It's no wonder that this mountain side is home to some of the most sought after real estate in Central America. It's also no wonder that the most desirable community sits atop this majestic mountain - welcome to Costa Verde Estates. Costa Verde Estates boasts 1,250 acres of land which straddles two provinces and has more than half this area within a formal conservation designation (and with only 8% of the entire property being changed from its natural state for the community's infrastructure and home sites). From the 1,000 to 2,000 feet (above sea level) vantage points, one can see 55 miles across the Pacific and endless whitewater coastline, several iconic costal features (Whale's Tail, various headlands, off-shore park islands), year round sunsets, verdant forest and far reaching stretches of Costa Rica's natural magic. Additional community amenities include a tennis court, gymnasium, helipad, community garden, and Panoramic Rancho and community park space. Now, imagine the most desirable piece of property within this amazing mountain top community. New to the market is this expansive 16-acre estate which features two, recently-remodeled homes both with their own infinity pools and stunning coastal views. The main house measures approx. 5,000 ft2 and has 5 comfortable bedrooms, and 5 ½ bathrooms, with a ground level master suite which faces the generous front terrace and infinity pool (overlooking the famous Whale's Tail national park in the distance), and a mega-master suite which occupies the home's entire second level. The home recently underwent a massive and thorough upgrade which includes a new kitchen, top end Bosch appliances throughout, a great outdoor entertainment terrace, new bathroom finishes & fixtures, up-graded doors and windows and all new furniture. Additionally, the main house features a brand-new L-shaped infinity pool with stunning imported Indonesian Sukabumi and Andesite stone facing, a Pentair Intellibrite LED lighting system, and a covered top-of-the-line Coyote BBQ Grill, outdoor shower, bathroom and pool house.